MyIP Review: Does It Offer Budget Friendly VPN Service? We all know the fact that Virtual Private Servers or VPN can be costly. However, not all of us always want an expensive VPN service. Sometimes all we need a cheap VPN which can give us access to the country blocked websites. Or simply want to use a VPN service for our day to day basis. But finding a cheap yet great VPN service can be a tough job. However thanks to the MyIP for offering affordable services with a reliable service. Also if you are in search of an inexpensive VPN provider. Then read on, as in this article we will be sharing a MyIP.io review, so you can easily understand how excellent the service is. Starting with the introduction at first, Well the MyIp.io is a VPN provider based in the United States and has an aim of offering a fast and effective solution for professional users and developers. The company was officially launched in 2015, and over the times that company has gained immense popularity. 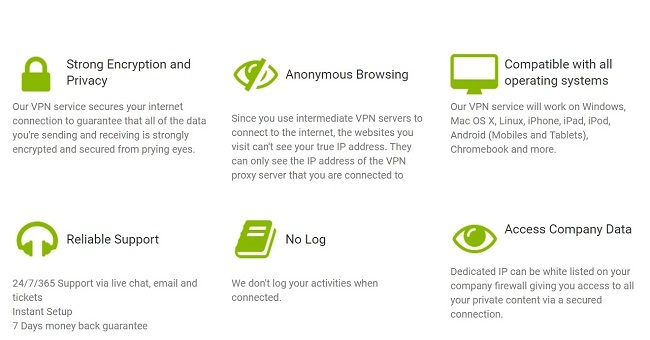 The company is a self-managed VPN network which offers reliable service to everyone. The company hat its server located in more than 10 countries. Hence, as a result, it will be easy for you to bypass your network and access to country restricted contents. Or hide your privacy online. Coming to the security and privacy, well MyIP.io is a service that aims to secure its client's network and traffic. Hence, as a result, the users can choose between protocols like PPTP, OpenVPN, L2TP/IPSec. So you can choose the right protocol to protect your confidential data. 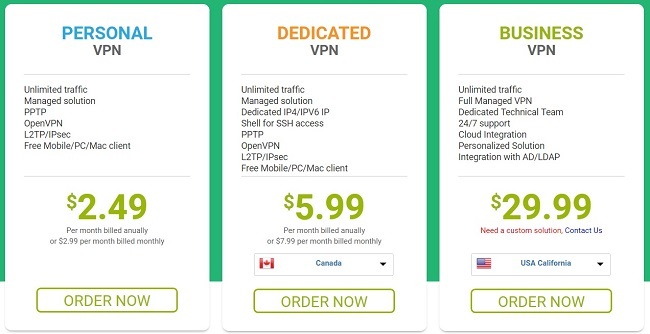 Also if you ever feel a need for a strong VPN connection, then the company also offers you the chance to upgrade to a dedicated IP VPN. Coming to the features section, well first of all the MyIP application supports all the major platforms. This includes Windows, Mac, Linux as well as it supports Chrome OS. Even the app has a dedicated app for your Apple And Android smartphone. MyIP offers unlimited traffic with all its plans. The unlimited traffic allows you to enjoy security when you are on the internet. Also, you can stream unlimited media content or play games while staying connected to the internet. Encryption is another great feature that MyIP VPN is offering. The encryption feature will make sure that the data that you are sending or receiving is protected from the security threats. Hence, as a result, the third party organizations would not be able to track down your activities on the Internet. Even the MyIP.io VPN server helps you to browse the internet anonymously. Since your main IP address will be hidden and replaced with a MyIP IP address. Hence, as a result, your location and Identity would be anonymous. Also, it offers a free VPN client for your Windows and Mac computer as well for your mobile device. With the dedicated plan, you will get quite a lot of features. Such as it will come with a Dedicated IP4/IPV6 IP along with a Shell for SSH access and so on. Talking about the server locations, well MyIP.io has their servers located in multiple locations. That includes France, United States, Netherlands, Canada, Ireland, Finland, Portugal, Germany, United Kingdom and Romania. When it comes to customer support, MyIP.io offers excellent service, and there is no doubt about that. There are too many options to reach the support team. For example, you can reach to them via Live Chat, or you can contact them by raising a ticket. Also, the service is available 24 x 7. In addition to that, they always solve the issues at the soonest. Plus if you choose the business plan, then you will get Dedicated Technical Team. So we do believe that there will not be any issues. That was all for the MyIP.io review. Now go and have a look at their plans and see which one would be the suitable option for you. Also, let us mention that MyIP.io plans come with a 7 days money back guarantee. Or you can say 7 days trial. This offers you the chance to cancel your MyIP.io subscription at any time if you do not wish to continue. Anyway, if you have any questions then do comment below, and we will surely help you out.